Out of home doesn’t have to mean out of shape! Whether you follow a strict fitness routine where rest day is not an option or merely wish to hit the treadmill and work off your last meal – we’ve got you covered! Drop by our modern Fitness Centre, featuring advanced workout machinery in perfect condition for all your exercise needs. 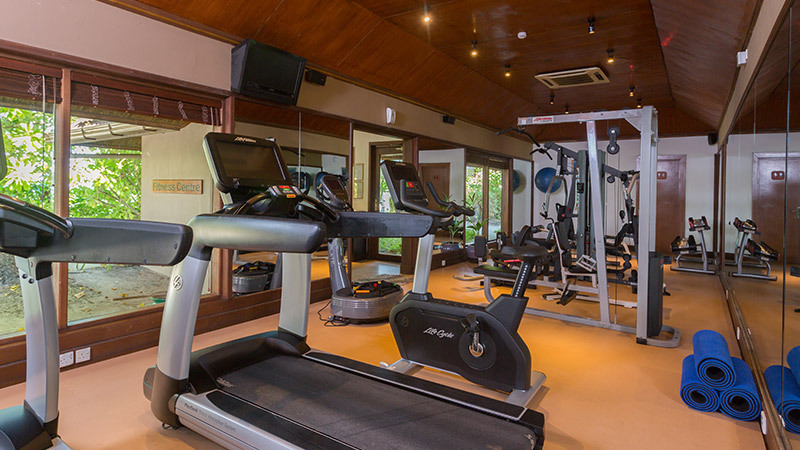 Cardio fans will be pleased to find the cardio equipment located just opposite the window, for a scenic view over to the lush greenery outdoors and the beach to revitalise your senses and fuel your stamina for as long as your workout requires.